Vacation rental condominium. 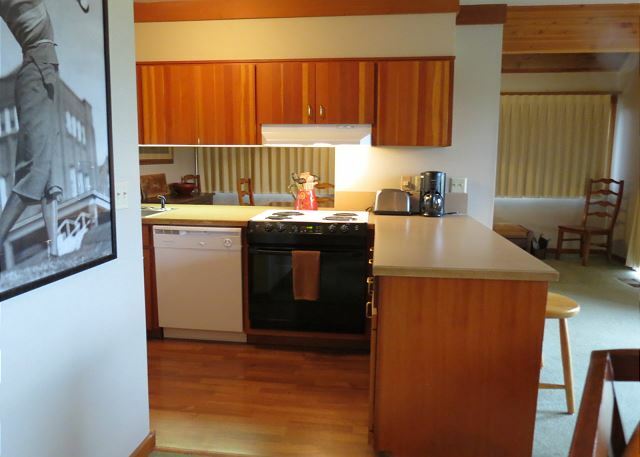 Sleeps 8, 3 bedrooms, 3 bathrooms. Dogs allowed. 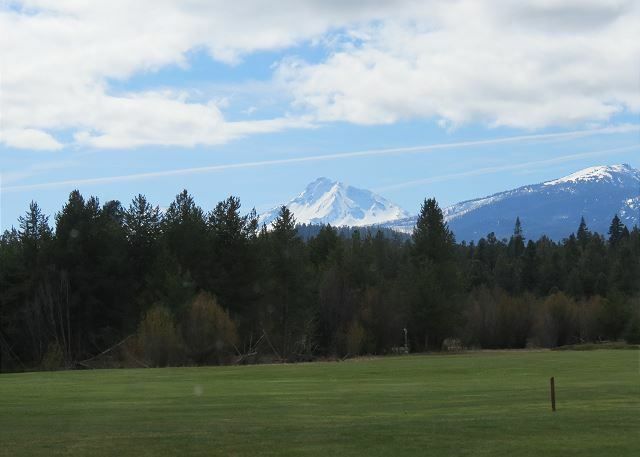 This condo takes full advantage of the gorgeous views of the 10th Fairway plus the North, the South Sister Mountains as well as Broken Top. There is a large Trex deck where the views are stunning to sunbathe, enjoy the golfers, evening BBQs with family or just relax with friends. This may be the perfect vacation spot for you and your kids or for just a private get-away. Great for you golf enthusiasts! It's just a short walk to Robert's Pub and the Big Meadow Golf Course. Just past the Pub is a recreation area and it's another short walk to the Lakeside Bistro and new Lodge Pool, rec building and playground. The condo is a spacious 1,332 square feet. The main floor consists of an open living area, dining room and kitchen. 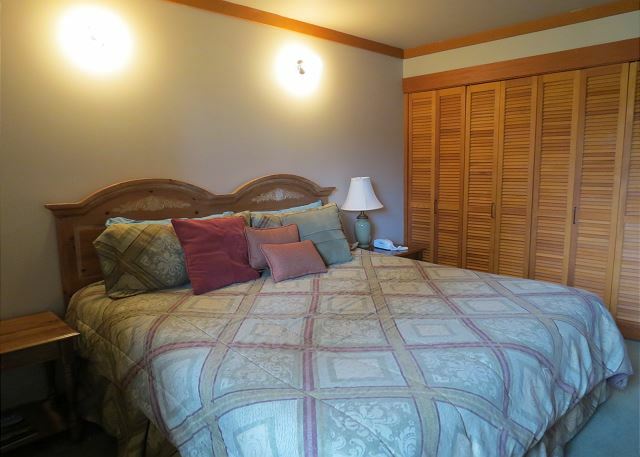 A king bedroom is to the right as you enter the condo, with a full bath plus a stackable washer and dryer. 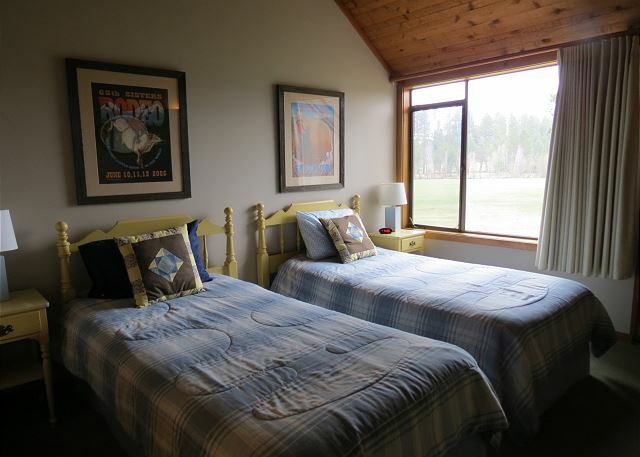 All rooms are light and bright and have stunning golf and mountain views. Up the stairs is a twin bedroom with full bath and to the right is a second king bedroom plus a third full bathroom. There is also a futon in the loft area. The home is dog friendly and air conditioned. This condo is perfect for a large family or extended family. Great location plus comfort and affordability! PLEASE NOTE: DURING JULY AND AUGUST there is a 7 night minimum on most properties plus a specific turn day, i.e. Saturday for most condos. 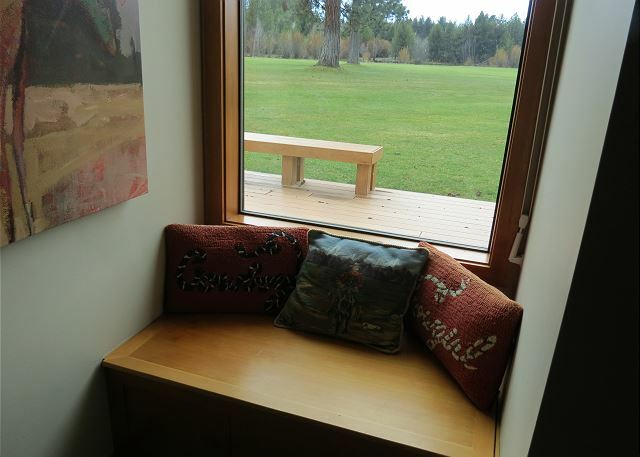 If you wish to deviate from the schedule or are having difficulty booking on-line, please call Black Butte Realty Group Property Management, formerly Howells at eight eight eight seven six two seven seven six three. Thanks so much Jeff. We enjoyed having you as a long-term tenant! So glad you enjoyed GCC-87! Facility was great and location excellent. 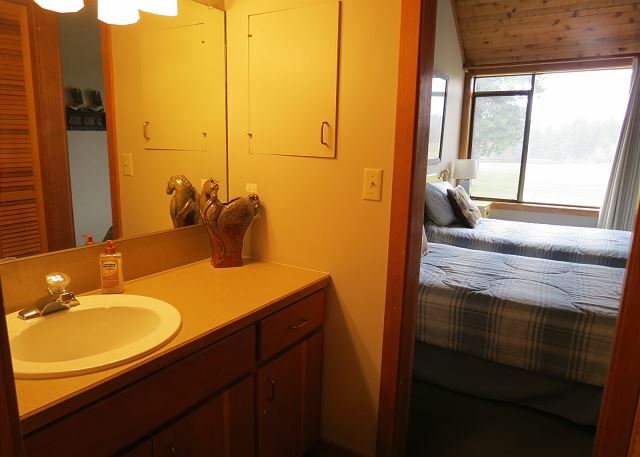 That said a few minor comments: would be great if there was night lights; facility was clean, but some corners and ledges could need some attention; bathroom towel bar and one of the window coverings need to be fixed. Thank you so much for your review, Sandy, we always appreciate your visits. We have noted your concerns and will take care of those items immediately. We look forward to your next visit. Glad to hear you enjoyed your stay at BBR! Thank you for booking with Howells! 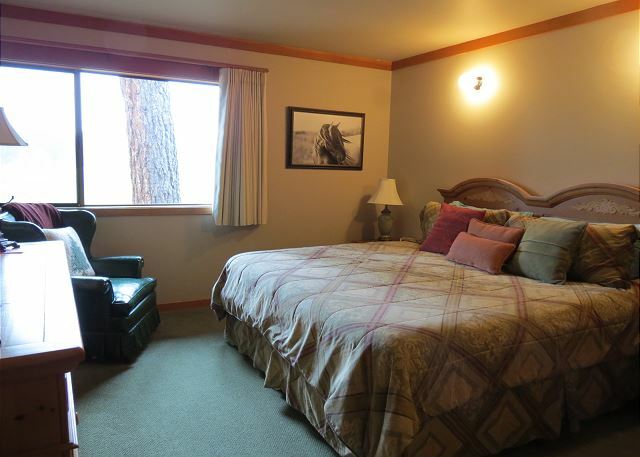 Black Butte Ranch is a great vacation experience . Our unit also made it very enjoyable. The ranch had lots of activities to participate in as well as beautiful scenery. The unit itself was comfortable, spacious, clean, and mountains and forests to feast our eyes on. We were with family, so the relationships were the best part. But, being able to do all of our activities together and having a unit where we could all fit, was very nice. We had a great vacation! We had a wonderful time at #87. Easy to find, comfortable home, lots to do. A little something for everyone. Wonderful location on golf course with fantastic views. The condo was at a great location on the tenth fairway. Easy access to all activities. Would definitely recommend this unit. Wonderful week with family and friends. Walking distance to Roberts Pub, and biking distance to everything else. Plenty of room for kids upstairs and bedroom on main for my husband and I. Small kitchen and living room were sufficient for our needs, and everything was in working order. Nice deck for BBQ-ing too!